Spinal cord injuries which cause total paralysis below the site of the injury are currently irreversible. If you are unable to move your legs on your own for two years, you are considered paralyzed for life. 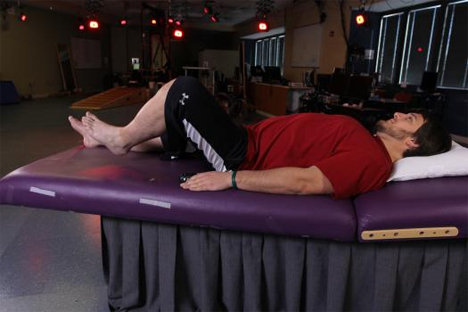 A new study at the University of Louisville has shocked the medical community by showing that, with electrical stimulation to the spine and intensive physical therapy, paraplegics can regain the ability to move their lower extremities. The breakthrough actually began in 2011, when the technique worked on a single patient. But of course, scientific minds aren’t foolish enough to take one case as a show of success. The young man who underwent the therapy in 2011 was in great physical shape prior to his paralysis. The more recent study involved four men of varying ages with varying degrees of sensory loss. The four men who participated in the study each received an implant just outside of their spinal cords. Each implant contains 16 electrodes and is similar to implants already on the market for chronic pain relief. 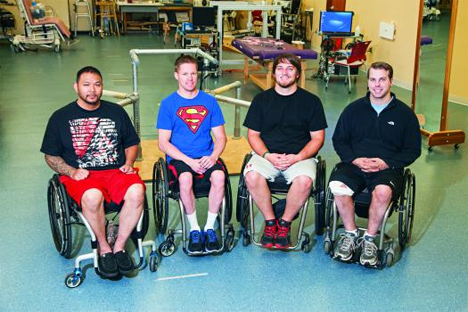 With the implants turned on, the research subjects were able to move their paralyzed appendages on their own. They could even move on the first try, without any training on the device. The implants stimulate nerves in the spinal cord, allowing the brain to send impulses telling the appendages to move. The researchers aren’t entirely clear on which nerve pathways are stimulated, but further research will uncover that knowledge. Also on the schedule for continuing research: specialized implants, drug regimens, and plenty more clinical trials. But for now, the promise of this medical technology is enough to give us hope that paraplegia doesn’t have to be a permanent condition. See more in Medical Marvels or under Science. April, 2014.